Few people pay much attention to what happens in the African nation of Mozambique. A quiet war is waging between Muslim jihadists and the government. To date both the jihadists (known locally as al-Shabab) and the government appear quite inept at fighting one another. The bigger battle, however, is being fought over mining rights and gas reserves in Mozambique’s Cabo Delgado province. A war many believe is being fought with bribes. Foreign corruption is nothing new. 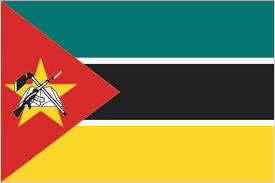 According to Transparency International, Mozambique scores a 153 out of 180 nations on the world corruption index. That means experts believe the country is rife with corruption. So what does that mean for companies doing business in Mozambique? It means that many are probably paying bribes to local officials. The mining and natural resources sector is already rife with corruption. It isn’t unusual for oil and gas companies and mining concerns to bribe local officials in the hope of getting faster permits or to have officials close their eyes in connection with environmental violations. Some companies bribe government officials in order to get more favorable lease terms or to keep competitors out. This week, the Economist reported that British company Gemfields has the rights to the world’s largest ruby mine located in Cabo Delgado, Mozambique. They say that local miners are being “shot at, beaten up and sexually abused by police officers” on behalf of Gemfields. Do we think the police are doing this on their own? Of course not. The better explanation is that Gemfields is bribing local officials to stifle the mining claims of competitors. Honest business can’t fully compete when a rogue company decides to violate the rules and bribe government officials. Letting them get away with such activities rewards bad behavior and punishes honest companies. Those who play by the rules suffer (and so do their employees). We certainly have no proof if any of the mining or gas exploration companies doing business in Mozambique are paying bribes. The vast gas and precious gemstone reserves, however, suggest that bribery is alive and thriving there. Proving foreign bribery, however, is next to impossible without an insider. Until someone steps forward, we can’t get involved and Uncle Sam doesn’t know where to look. In 1977 Congress passed the Foreign Corrupt Practices Act as a way of leveling the playing field for honest companies. The Act makes it a criminal offense to pay or offer a bribe to a foreign government official. Under the law, the Justice Department can criminally prosecute violators while the SEC can issue large monetary penalties. Under the SEC’s whistleblower program, the SEC can pay out up to 30% of whatever the government collects from the wrongdoer. Although many of the big mining and energy companies doing business in Mozambique are foreign, that doesn’t mean the American government does not have jurisdiction over their activities. The SEC regularly prosecutes foreign companies caught bribing foreign government officials. How? The SEC has jurisdiction if the company is domiciled in the United States or sells shares of its stock on a US stock exchange. Obviously, the government also has jurisdiction if any of the acts of bribery take place on U.S. soil. Finding a way to prosecute is often easier than getting someone to step forward. Thankfully, Congress also thought and offers both rewards and anti retaliation protections to whistleblowers. To prevent retaliation, the SEC has enjoyed great success in keeping the names of whistleblowers confidential. That means you can report the violation, collect a reward and keep your employer or co-workers from knowing that the whistleblower was you. In 2016, the SEC and Justice Department announced a joint prosecution of Embraer, the Brazilian aircraft manufacturer. Prosecutors claimed the company bribed government officials in Mozambique, Saudi Arabia and the Dominican Republic. A Justice Department press release said the company used bribes to convince government officials to purchase Embraer products over rival products made by other companies. In the case of Mozambique, prosecutors say in 2008, Embraer paid $800,000 via a false agency agreement with an intermediary designated by a high-level official at Mozambique’s state-owned commercial airline, Linhas Aéreas de Moçambique S.A. (LAM), to secure LAM’s agreement to purchase two aircraft for approximately $65 million. That type of conduct makes it harder for US aircraft manufacturers such as Boeing to successfully bid on aircraft contracts. The US had jurisdiction because some of the illegal acts used a NY bank and because Americans can invest in Embraer here. The United States was not the only country to prosecute. Saudi Arabian and Brazilian authorities also levied charges against the aircraft maker. Today, most companies are smart enough to hide the paper trial involved in paying bribes. An auditor isn’t likely to find a line item labeled “illegal bribes.” Instead, many companies rely on third party agents to disguise the illegal payments. More recently, the SEC and Justice Department fined another Brazilian company, Odebrecht and an affiliated petrochemical company, Braskem. Prosecutors say that the companies paid $788 million in bribes to government officials in at least twelve countries including, Mozambique, Angola, Argentina, Brazil, Colombia, Dominican Republic, Ecuador, Guatemala, Mexico, Panama, Peru, and Venezuela. Do You Have Information About Illegal Bribery? The SEC Whistleblower Program pays whistleblowers – workers or third parties with inside information – up to 30% of whatever the government collects from wrongdoers in fines and penalties. Multi-million dollar awards are common. We think whistleblowers are heroes. They help stop fraud and corporate greed. Congress likes them too, that is why they authorized such large awards and give whistleblowers wide-ranging anti-retaliation protections. or by phone 414-704-6731 (direct). All inquiries protected by the attorney – client privilege and kept completely confidential. *To help us help you, never use a work email, work phone or work device to contact us.